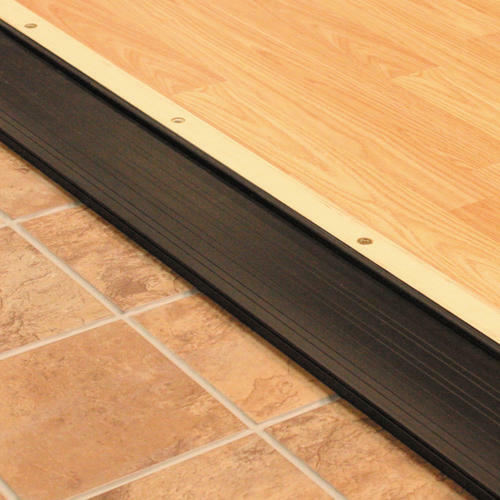 Deluxe adjustable height threshold with an Oak riser adjusts sealing gaps under your door from 1-1/8" to 1-3/8". Heavy duty aluminum and oak design assures years of protection from the elements. Installing a threshold will help seal out drafts. Seals gaps under your door from 1-1/8" to 1-3/8"